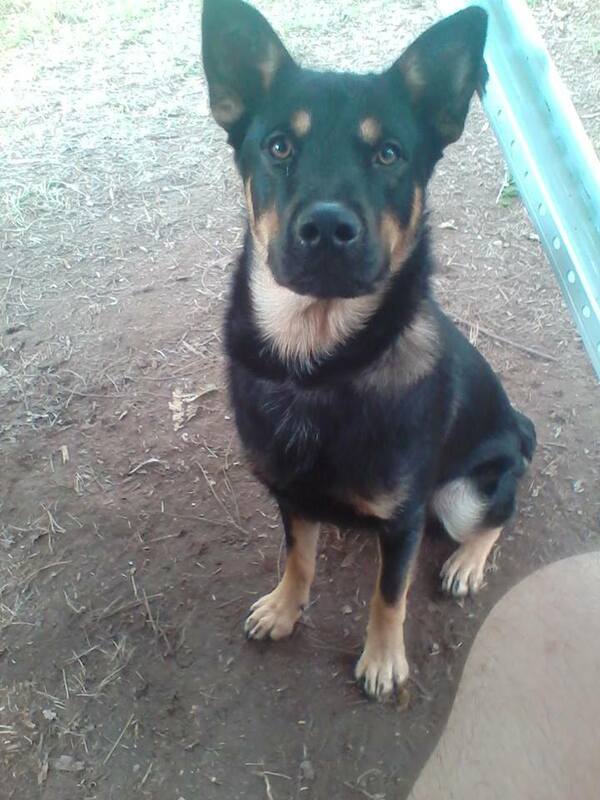 Finn is a 2 year old, Male, German Shepherd mix who was adopted 18 months ago from the United States. Finn presented to our clinic for his annual exam and vaccines. The owner reported occasional coughing, but suspected it was just due to the throat being irritated by his collar when walking on a leash. The owner had used flea/heartworm preventative in the past, but only intermittently. Finn has a nice coat and great oral health. He is a little on the thin side but eats very well. Finn’s owner mentioned he has an intermittent dry cough. 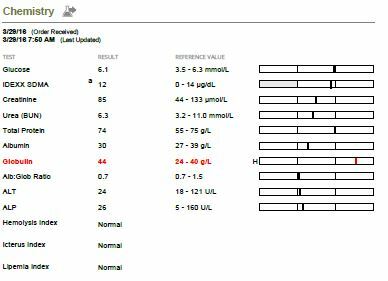 Slight elevation in protein (Globulin) which is likely due to inflammation somewhere in the body. All other chemistries are normal. 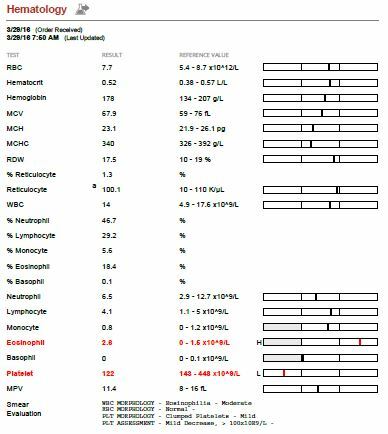 Slight reduction in platelets which is considered insignificant. Finn has contracted Heartworm through an infected mosquito. The worms invade the pulmonary arteries in the heart. Treatment needs to be started before his condition becomes fatal. X-rays are recommended to assess the heart shape and ensure there has been no damage to the heart. Finn’s radiographs showed some mild changes to his heart size and shape. He was given the ok to go ahead and start treatment. Finn was started on three medications – one to kill any larva that might still be in the blood, which would deposit in the heart and become an adult heartworm . A second to kill the adult worms that are residing in the heart. The third was to kill Wolbachia (a bacteria that live within the heartworm, which will leave the deceased heartworms and invade the surrounding tissue and bloodstream, causing serious complications). 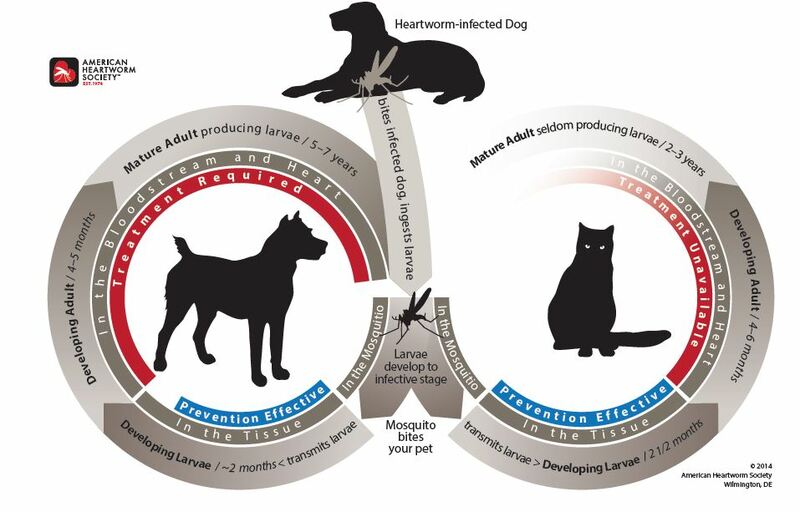 Treating heartworm is quite costly, and comes with risk, which is why prevention is ideal. There is no way to know definitively how many heartworms Finn had. 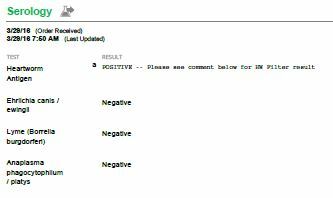 The radiograph showed only mild changes, thus we were hoping the number were low. Having a large number of heartworms can be difficult to treat, as they can cause serious complications when breaking down. Luckily, Finn received all his treatments with no issues, and is doing very well. Even though Finn has undergone all his treatments, and has been cleared of heartworm, he still has the potential to develop heart issues down the line, as the heartworms may have damaged the heart tissues. Finn will continue to monitored for any symptoms of developing heart disease with his annual exam.